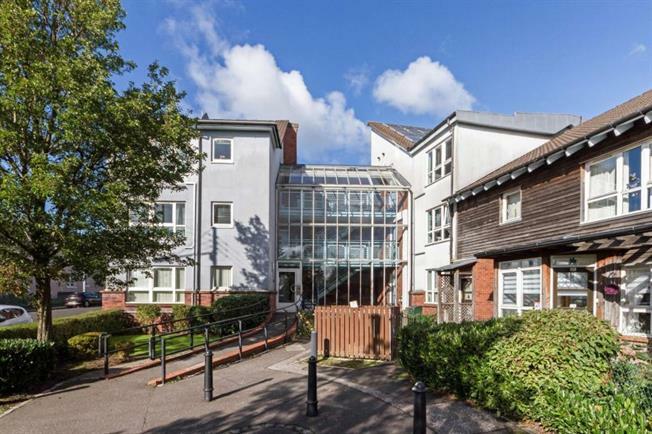 2 Bedroom Upper Floor Flat For Sale in Glasgow for Offers Over £75,000. A beautifully presented top floor two bedroom apartment, set within this quiet residential pocket in close proximity to nearby Shettleston Road. The property is accessed via a modern, well kept communal entrance hall and the close entrance having a glass atrium which, in turn, leads to the entrance porch, welcoming entrance hallway and striking dual aspect lounge with study/sun room offering a wealth of natural light and stripped flooring. The modern kitchen offers true contemporary styling, base and wall mounted units, under unit lighting, integrated appliances and stylish tiled splash back. The family sized bathroom consists of a three piece suite with over bath shower and contemporary tiles. There are two good sized double bedrooms, both with wardrobe space. The property is completed by double glazing, heating is a geothermic system offering owners a potentially more efficient central heating system. The property offers good storage throughout. Glenalmond Street is a quiet residential pocket offering close proximity to the nearby Shettleston Road. The district is very well serviced by an excellent range of local shops, services and an extremely convenient commute into the city centre.